Whether you want to embrace the cold and enjoy winter sports, or surf on Costa Rica’s Pacific Coast, January is the ideal month to travel to these 10 spots. By January 1, the New Year will have been rung in, and it’ll be time to make good on all those resolutions. Maybe you want to beat the winter blues and focus on wellness. Maybe you want to spend more quality time with family and friends. 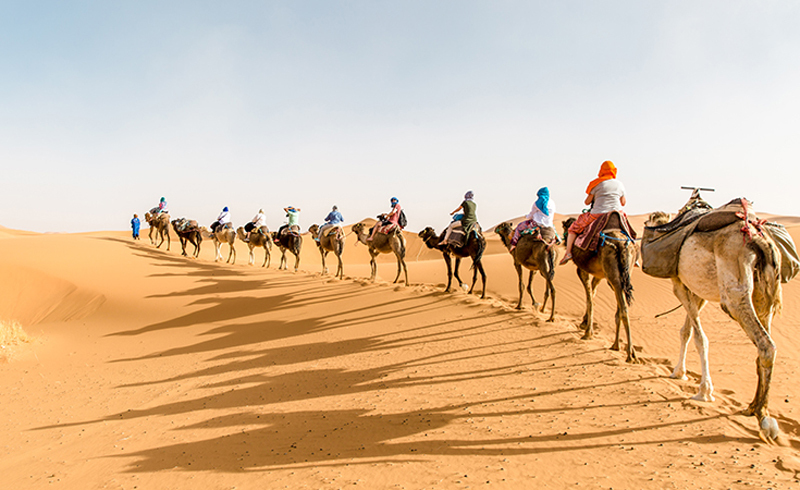 Maybe you just want to get out there and see more of the world. 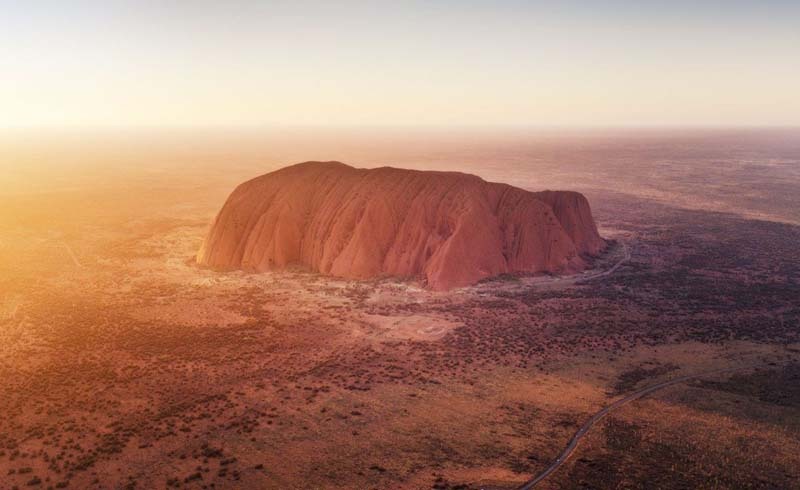 These 10 spots are solid bets, whatever your 2019 goals may be. Antigua’s moderate temperatures and steady wind patterns make the island ideal for myriad water activities. In Antigua, your biggest challenge will be deciding which of its 365 beaches to relax on (or, you know, stay for a year and visit one a day—no judgment from us). In January, temperatures in the low 80s make it a great time to go for anyone who wants sunshine but not scorching heat. 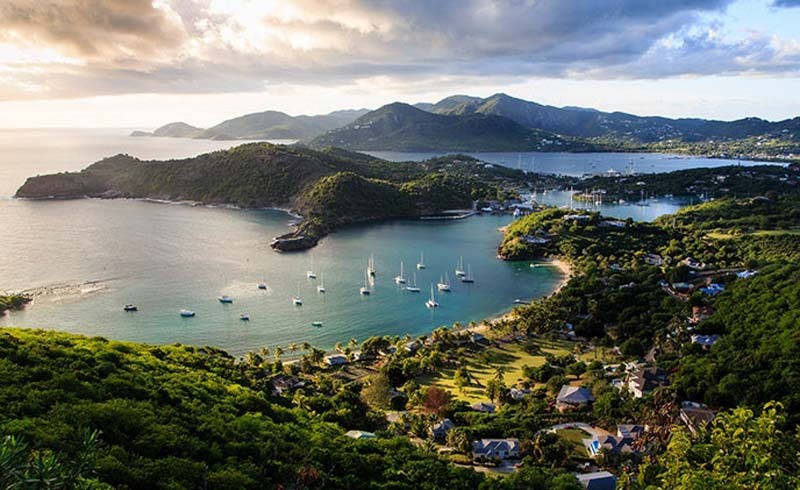 Whether you’re taking a Sunfish out for a sail or chartering a yacht, you’ll find Antigua to be one of the best boating destinations in the Caribbean. Thanks to its steady trade winds, sheltered bays and harbors, and a culture that celebrates sailing as one of its top sports (right up there with cricket and tennis), the island embraces the seafaring lifestyle. Antigua’s upscale all-inclusive resorts are a nice option for families that need activities for kids, but not at the expense of adult pampering. The Carlisle Bay Resort has an adults-only area and a separate area for families, and offers both kids’ and teens’ clubs and suites that can accommodate families of up to six people. The miniature golf course at the Verandah Resort is part of its family-friendly set of amenities that also includes a kids’ club, a children’s pool, and a playground. Curtain Bluff has an all-day kids’ camp, which includes craft activities, cooking classes, crab racing, water sports, and games. Hell’s Gate National Park is about 26 square miles and home to zebras, giraffes, gazelles, and other wildlife. In Kenya, there are plenty of natural ways to get the blood pumping. Although a bit unpredictable, the rains in January tend to be on the short side, so weather will be good for your outdoor adventures. Take a day trip about 60 miles out of Nairobi to the Tana River, where the rapids are perfect for whitewater rafting, and the calmer pools offer spots in which to cool off, drift along, and spot wildlife. Thrill seekers can bungee jump almost 200 feet over the river near the tiny town of Sagana. 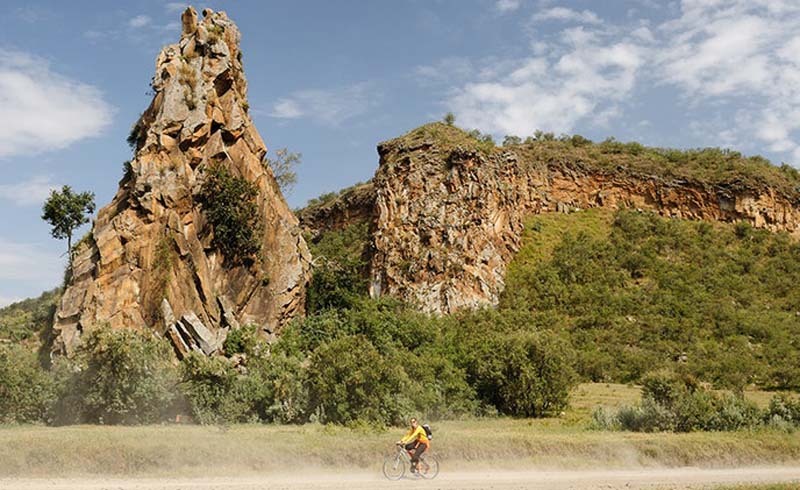 Bikers will enjoy exploring the trails of Nairobi’s urban Karura Forest, or taking a two-hour trip outside the city to Hell’s Gate National Park for serious mountain biking past hot springs and extinct volcanoes. Need even more action? Your high-octane needs will be met by a spectacular 11-hour hiking trip to the thickly forested crater of Mount Longonot, an extinct stratovolcano set about 45 miles from Nairobi at the base of the Great Rift Valley. Or for the truly fit and motivated, a multi-day trek up Mount Kenya is worth it to experience the second-highest peak in Africa. The mountain is about 85 miles from Nairobi. 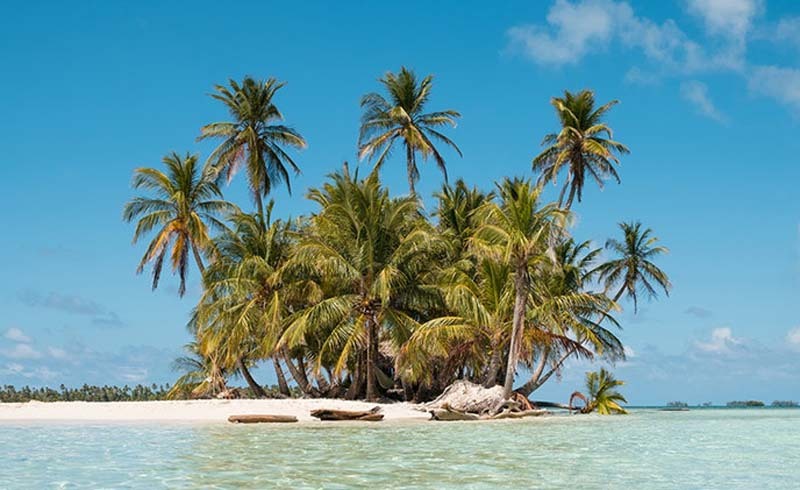 Panama’s San Blas Islands are inhabited by the Kuna people whose main sources of income are tourism and coconut sales. For a country with two coasts, tropical weather, and a well-developed travel infrastructure, Panama remains a surprisingly undiscovered surfing destination. “Shhh!” say those in the know. Surfers in Panama have many beaches to choose from and conditions for all skill levels. In winter months, the country’s dry season, waves are best on the Caribbean coast in places such as the Bocas del Toro Islands. There, you’ll find epic surf settings: orange skies at sunrise, yellow sands, and endless left- and right-hand breaks looking back on thick jungle. While you’re on the Caribbean side, check out the San Blas Islands, which are managed by the indigenous Kuna people, who limit tourism. Come here to snorkel, fish, relax on the sand, and sleep in tents or wooden huts. And stow the cell phones—this is a place to skip the status updates and live in the moment. 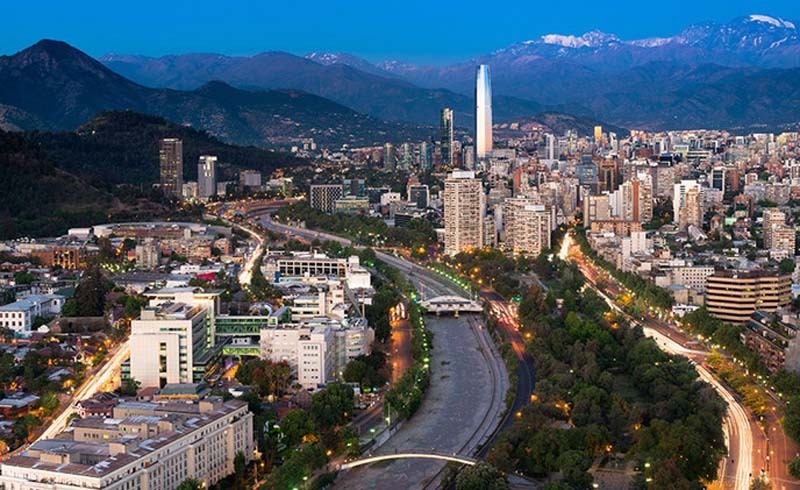 The Bellavista neighborhood in Santiago brings a variety of craft and clothing shops together with international cuisine. For three weeks in January, performing arts festival Santiago a Mil brings international actors, dancers, musicians, and other creatives to Chile. But year round, there is a vast visual art scene in Santiago. Gallery hop along the streets of the Barrio Italia and Bellavista neighborhoods, which are flush with cafés, boutiques, and antiques shops. The murals along Loreto and Dardignac streets in Bellavista help make Santiago one of the best cities in Latin America for street art. Further afield is Museo a Cielo Abierto en San Miguel, a series of massive murals commissioned by the Chilean government to spruce up the low-income San Miguel area, creating an open air museum. For more traditional museums, your first stop should be one of the city’s best, the Chilean Museum of Pre-Columbian Art. The collection focuses on Andean textiles, Mapuche totems, and pottery by a range of indigenous groups from throughout Chile’s history. The Museum of Contemporary Art displays a diverse range of Latin American and international works. Make sure to also seek out the lesser-known Museo Ralli, which showcases a mix of 20th-century Latin American art and a few masters like Magritte and Dalí. 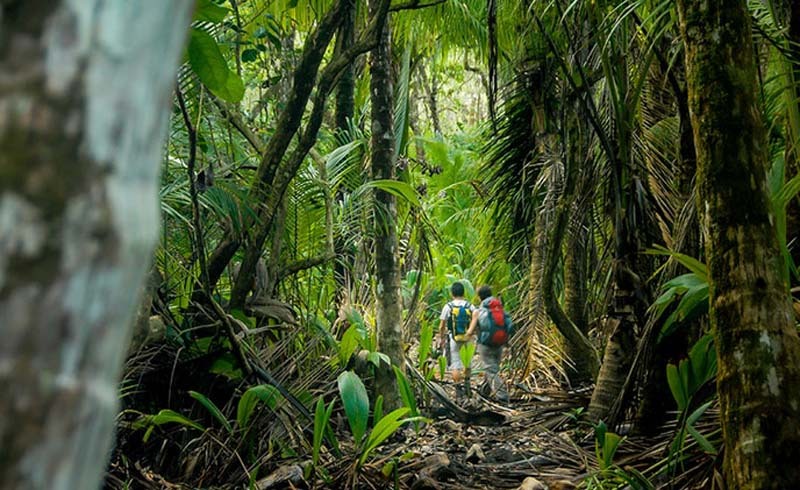 Corcovado National Park encapsulates beach, swamps, and forest, making it ideal for hiking and wildlife viewing. More than a quarter of Costa Rica’s land—virgin rain forest, wetlands, cloud forests, dry forests, beaches, and marine habitat—has been protected in perpetuity, making the Central American country a global leader in conservation. Its 28 national parks are integral to the effort, safeguarding valuable vegetation and animal habitats as well as supporting surrounding communities through park fees and donations. Skip peak travel at New Year’s and go later in January: You’ll get the benefit of dry season with slightly lower prices. The most-visited national park in Costa Rica is also the country’s smallest. Manuel Antonio National Park, about midway on the country’s Pacific Coast, is an all-purpose family favorite. The park offers numerous hiking trails into the tropical forest, abundant wildlife (sloths, coatis, and especially monkeys), secluded white-sand beaches, and coral reefs for snorkeling. Guides are required to go to Corcovado National Park, on the Osa Peninsula, but it’s worth the trouble. It has a stunning variety of wildlife, including tapirs, monkeys, margay cats, alligators, hammerhead sharks, and four species of sea turtles. There are also 23 miles of prime beach and 13 ecosystems, including mangrove swamps, lowland forest, and highland cloud forest. Mumbai offers both high-end shopping opportunities and bazaars, which feature antique treasures and jewelry, among other finds. If India’s elegant capital of New Delhi elicits comparisons to Washington, D.C., then Mumbai is New York City: a densely populated financial center that’s also a vibrant, frenetic hotbed of nightlife, dining, and culture. And a dang good place to go shopping. 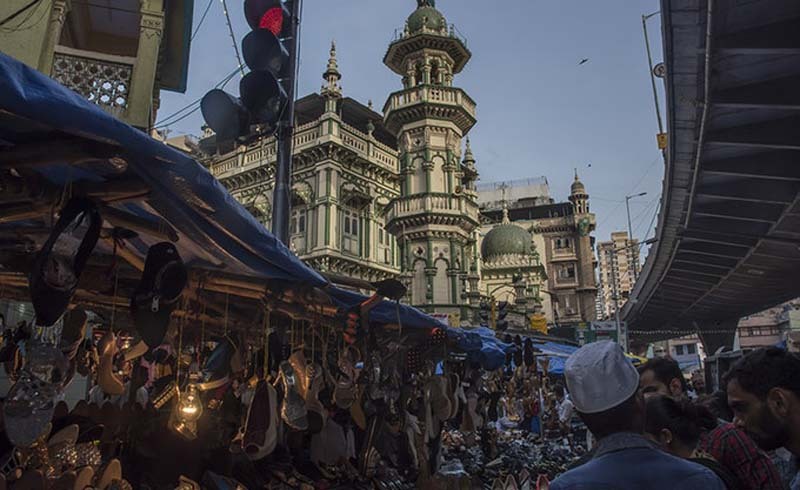 Mumbai is home to many top designers, annual fashion shows, high-end malls, and stylish boutiques, but it’s also one of the best places for street markets and bazaars, several of which are the stuff of legends. Most markets specialize in specific items, so it’s best to have a plan before jumping into the fray. January temperatures are pleasant, perfect for braving the busy streets. Tucked among the winding streets of Mumbai’s Muslim neighborhood for more than 150 years, the iconic Chor Bazaar is a treasure trove for curios, furniture, and antique and vintage finds. It’s the best market for finding unique gifts to take back home or for exploring and taking photos of the colorful and varied stalls. Jewelry buffs should head to the Zaveri Bazaar for gold and silver pieces or the CP Tank area for its dizzying array of colorful glass bangles. The bookish will love the secondhand tomes found in the stalls around the beautiful Flora Fountain at Martyr’s Square, also known as Hutatma Chowk. Leather goods can be found along Dhaboo Street, and the sidewalks of the Kala Ghoda Arts Precinct are lined with works by emerging artists. Don’t miss a stroll along Fashion Street, where more than 150 stalls stock budget-friendly clothes and accessories. At just over 1,000 square miles, Lima provides a multitude of international cuisines and dining experiences. 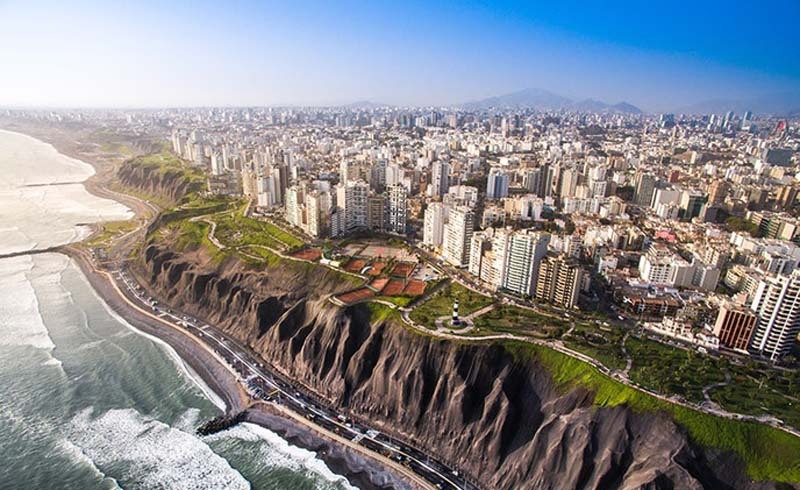 Once known as the City of the Kings, Lima is now one of the world’s best places to at least eat like a king. Drier weather makes January is a beautiful time to go. Just be sure to make those restaurant reservations well in advance or you’ll be trying your luck on waiting lists. At three Michelin-starred Central, chef Virgilio Martinez will take you on a 17-course tour of his homeland’s innumerable ecosystems (prepare for the piranhas from the Waters of Nanay). No à la carte here—this is purely tasting menu territory, but Central offers a vegetarian tasting menu and a smaller eight-course menu. Chef Mitsuharu Tsumura adds Japanese flare to Peruvian food at Maido with such dishes as fish hot dogs, sea urchin rice, and delicious pisco drinks. The restaurant moved up a spot on the World’s 50 Best rankings, sitting pretty at number seven in 2018. Astrid y Gaston is one of Lima’s most famous culinary spots, and celebrity chef Gaston Acurio will dazzle you with the creations that made him both godfather and global ambassador of modern Peruvian cuisine. Menu offerings like scallops with pistachio, vanilla, and cilantro and Peking guinea pig make this a restaurant must-eat. 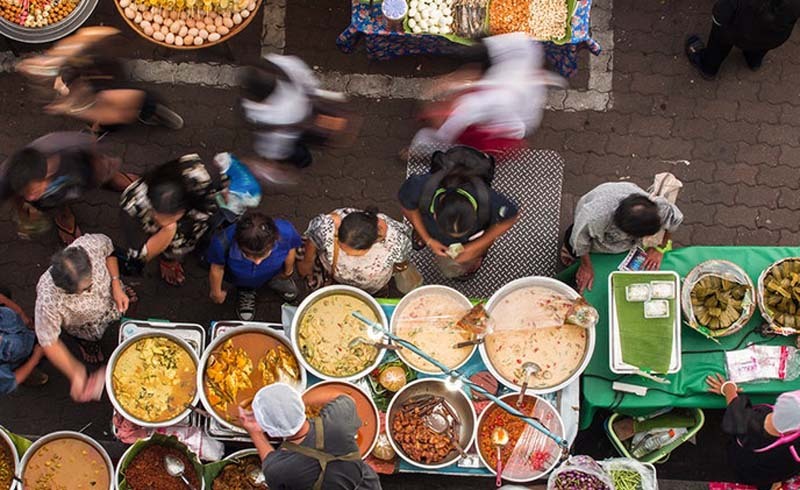 In 2017, the Bangkok Metropolitan Administration made changes to how street vendors can operate. It’s uncertain how the future of Thailand’s street food will be affected, meaning now is the time to visit. Thailand is famous for its street food. Fruit vendors slice and dice fresh pineapple, watermelon, and other fruits from ice-laden carts; trays of milk tea pass hands through the crowds; and the aroma of fresh barbecue, doused in spicy sauce, wafts through the air. Every stall or shophouse specializes in its own specific delicacy—often made with recipes passed down for generations. There’s even a Bangkok vendor who earned herself a Michelin star for dishes like her khai jeaw poo (crab omelet). But in late 2017, hoping to make sidewalks safer, the Bangkok Metropolitan Administration began making changes to where and when street food vendors operate. Now, vendors can’t set up before 6 p.m. in some of the city’s most popular places, and when they do, they must use designated spots. It’s unclear how long the policy will stay in place, but vendors are suffering. Go now to support them and because it’s the dry season, which means you’ll get a bit less rain. You’ll find street food vendors congregating in a few key areas: Chinatown, Victory Monument, Soi Ari, and Bang Rak. And if you don’t mind braving the crowds, head to Silom Road, the main vein of Bangkok’s business district, and follow the office workers ordering their daily vittles. Order in Thai and you’re guaranteed a grin. Try favorites such as moo ping (grilled pork skewers); satay gai (chicken satay): yum woon sen (glass noodle salad); khao man gai (Thai-style chicken and rice); khao neow ma muang (mango sticky rice); tom yum (hot and sour soup); pad thai (stir-fried rice noodles); and hoy tod (oyster omelet). 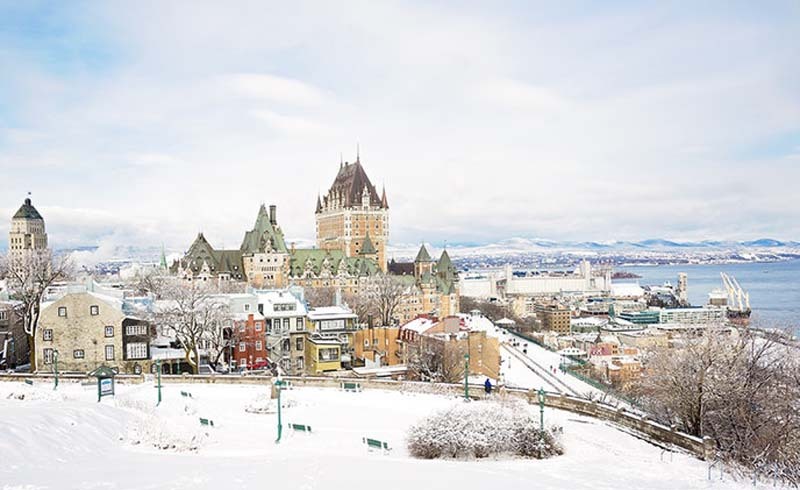 Québec City is a winter wonderland in itself, but visitors also have prime skiing and snowboarding opportunities just 30 minutes away. With 17th-century spires and cobblestone lanes, Québec City has a lot of European charm. Knowing even a few phrases of French will come in handy here, and you’ll need a very warm coat and plenty of layers to survive January’s average highs of 10 degrees F. But even in the cold temperatures, you’ll find yourself warming up to this French colonial city. Three ski lodges that are less than a 30-minute drive away make it easy to plan a trip that combines city and slopes. Le Relais, just 15 minutes from Old Québec, offers easy lighted runs that are great for families. A little farther out is Stoneham Mountain Resort, Canada’s largest night-skiing destination. Hot shots will feel right at home here with freestyle runs and an Olympic-level half pipe. The après-ski vibe includes outdoor hot tubs and performances by chansonniers, or French folk singers. Mont-Sainte Anne, another mountain resort popular with the locals, is only about 25 miles from downtown. A massive network of paths through pine and spruce forest make it North America’s largest spot for cross-country skiing, and 19 of its trails stay lit after dark for night skiing. If you’re willing to go farther afield, you can find wilder skiing. Le Massif de Charlevoix, about an hour’s drive from Québec City, offers one of the most scenic landscapes of all. Lots of fresh natural powder falls on slopes perched right on the St. Lawrence River, and a large area is dedicated to backcountry skiing. About 60 miles from Québec City, Massif du Sud, the highest ski mountain in the area, has glades for cross-country skiing, trails for snowshoeing, and helicopters for delivering downhillers to those hard-to-reach places. Jaffa is the oldest part of Tel Aviv, with archaeological history dating back nearly 10,000 years. In January, Tel Aviv’s temperatures are mild, with highs in the 60s, and it can be rainy. But you’ll beat the crowds, prices are low, and it’s still pleasant enough to do a lot of exploring. The most relaxed—and very Israeli—way to spend time at the Namal (Hebrew for “Port”) is to buy a sandwich and a coffee to go from Israel’s most popular coffee chain, Aroma, and sit on the wooden stairs right by the bay. 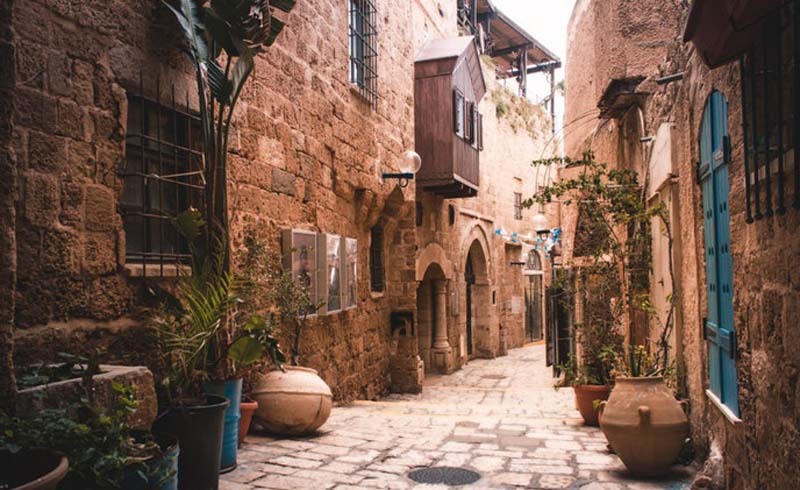 Then, stroll along the Jaffa Port to soak in some of the ancient history—it’s estimated that its history goes back 7,000 years, making it the oldest port in the world. While there, admire the three-story Clock Tower, which was built in 1903 during the Ottoman period. For more history, it’s worth taking the 50-minute bus ride between Tel Aviv and Jerusalem. Visitors can explore the Tomb of Mary, the Mosque of the Ascension, the Tomb of the Prophets, and the Garden of Gethsemane. Other must-sees in the Old City include the Western Wall, the remaining wall from the Jewish Temple and one of the most sacred Jewish sites to worship (scarves are handed out to anyone with bare shoulders and a white yarmulke is offered to men), the Church of the Holy Sepulchre (where it’s believed Jesus was buried), as well as the Dome of the Rock (the site where Muhammad was raised to heaven). And don’t forget a float in the Dead Sea. Smear mineral-rich mud all over your skin before you walk into the water; the mud comes off easily and leaves your skin soft. While there, you can also hike in the Ein Gedi National Park. Close by are the Qumran Caves, where the Dead Sea Scrolls were found.